VP Racing Fuels was founded by Steve Burns, who initially exhibited his aptitude for R&D in the early 1970’s as a young racer in San Antonio, Texas. Steve was convinced the race fuel manufacturers of the day were falling short in their quest for optimum horsepower. To address this shortcoming, he began experimenting with exotic blends of fuel. Over time, this led to the development of their fuel enhancers and additives, or "madditives" as they are better known. 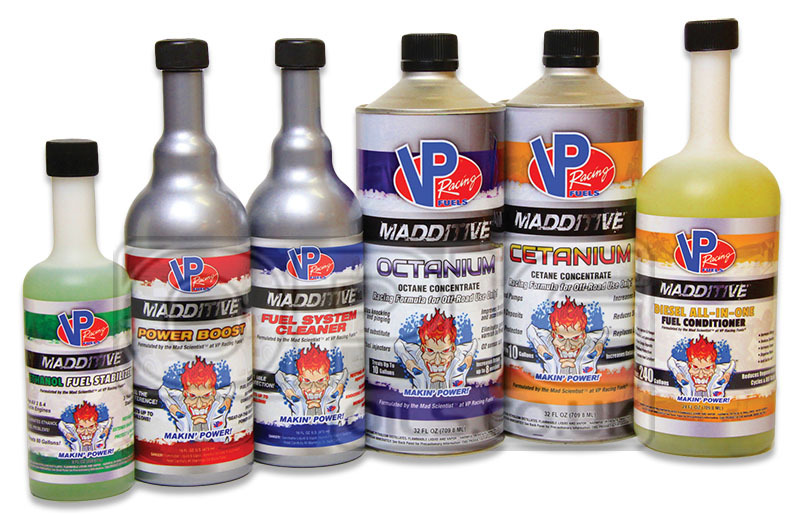 We're pleased to welcome these to the team, VP’s “Madditive” line of performance chemicals for automotive applications is engineered to improve performance as well as save you money at the pump and at the shop. VP’s reputation for quality and performance set this line apart from the competition, offering results that simply can't be found elsewhere. We're sure you'll find a product that really enhances your driving experience.